Just wondering if anyone is offering a resin stock Chevy six cylinder and transmission ( a 3 speed standard would be divine!!! ) that would look right in a 1/25 '69 Camaro? Any help appreciated. Thank you. I just searched, 1/24 resin Chevrolet, no 1/25 as a choice. It would be helpful if everyone provided a link instead of just typing words, and maybe testing to see if the source even has something close. Someday I want to do the '57 Chevy wagon that I owned, which had the 235 Stovebolt. 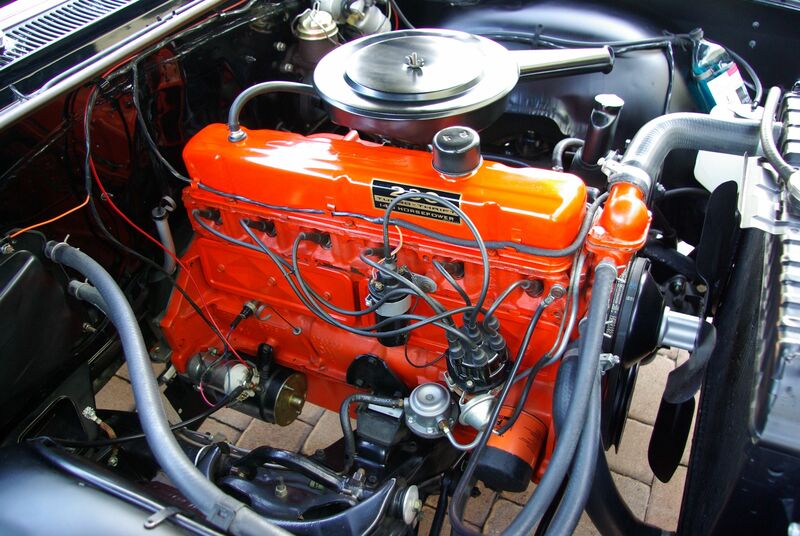 The '56 Corvette has a 6, but with the twin carbs. Just a little scratch-building would get the 250. The Parts Box seem to offer something close. Engine block is accurate, but not some minor details, it's probably an australian 6, since they are a proudly an aussie business. MCW stovebolt 6 has parts for early :50's and late '60's parts the last time I looked . IFnit in his listings on >rocketfin.com/modelcarliks< he will respond to email listed there . Top notch castings . Thanx ..